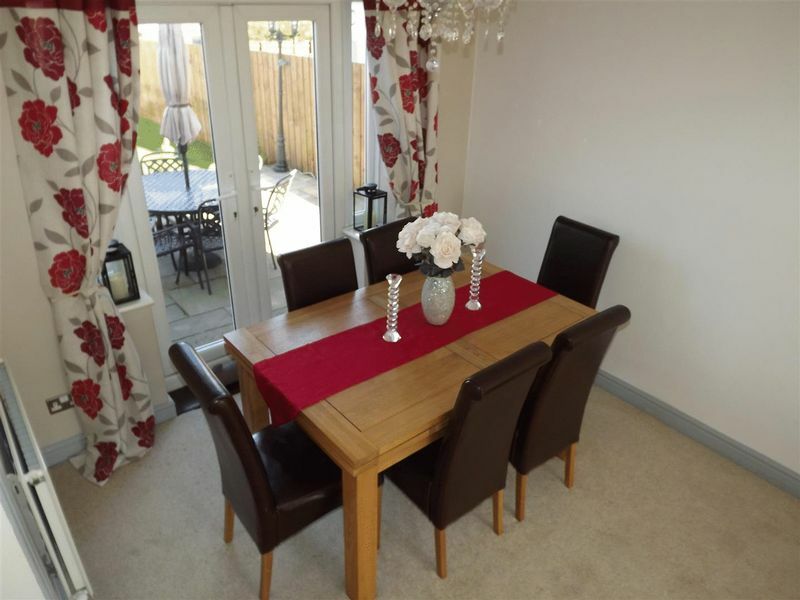 Mike Rogerson Estate agents are delighted to welcome to the market this stunning three bedroom detached house situated on a cul -de-sac within this extremely popular residential area of Northburn, Cramlington. Approximately 2.0 kilometers from the main commercial centre, yet allowing for immediate vehicle access to all the major road links and town amenities, whilst public transport services are available within easy pedestrian access. 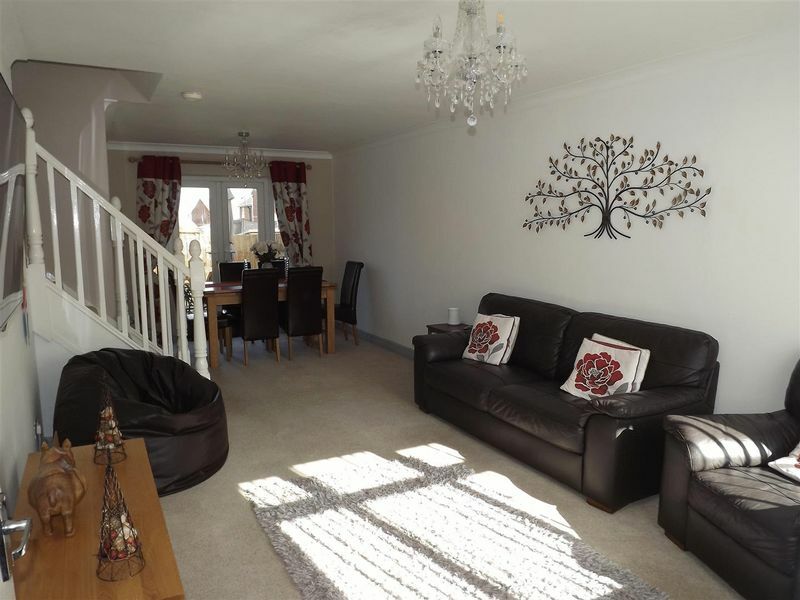 The property in questions is considered to exhibit a high standard of appliances and interior decoration, having also under gone modification to the ground floor accommodation, thereby offering a fantastic appointed modern family home. 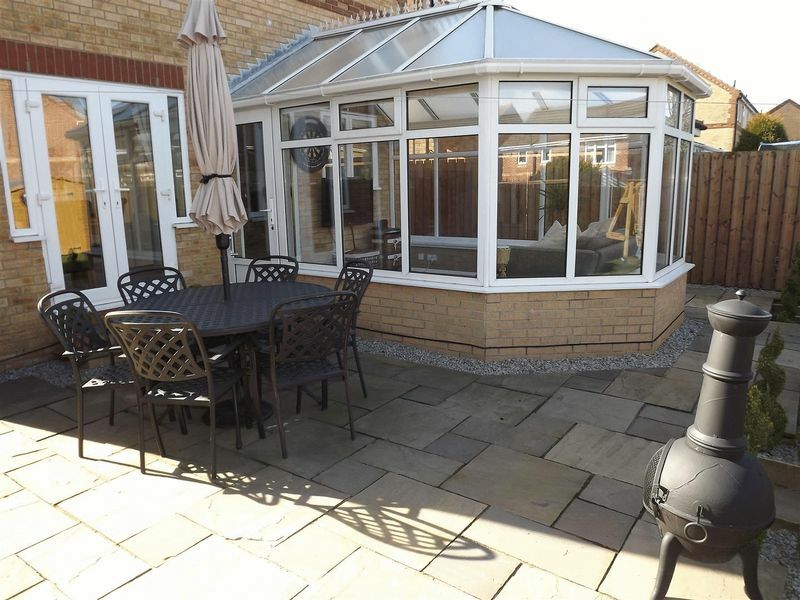 Accommodation within briefly comprises; entrance porch, leading into the generous lounge through dining room, fantastic kitchen which has been partially extended into the garage space, a large conservatory leads off from the kitchen providing additional living space, downstairs cloaks. 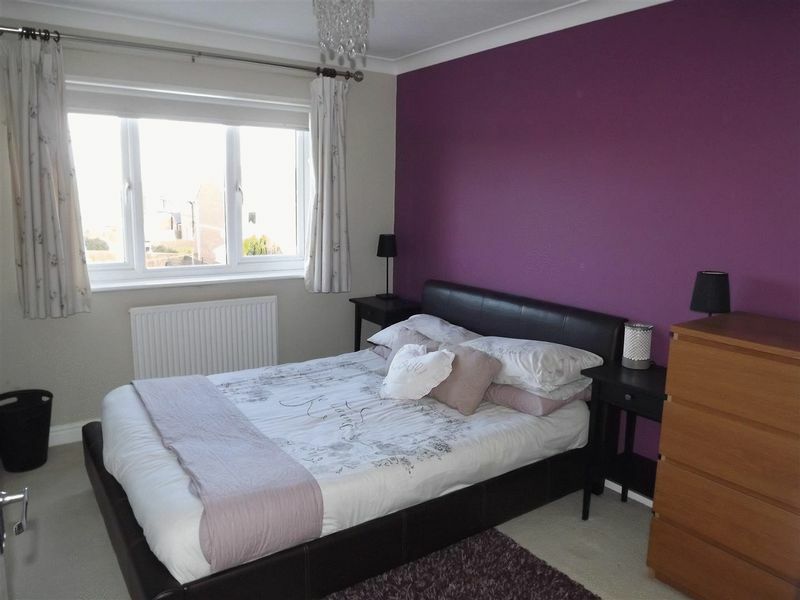 to the first floor are three spacious bedrooms, the master bedroom benefiting from an en-suite, and a further two good sized bedrooms, and a modern family bathroom. Externally to the front is a block paved driveway proving off street parking for two cars. 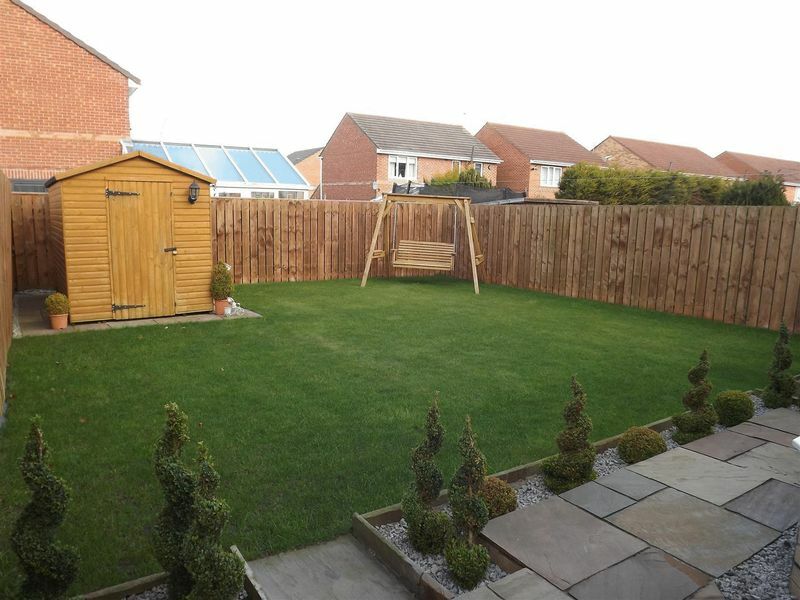 Access to the rear of the property is provided by a gate and footpath to the side of the property. 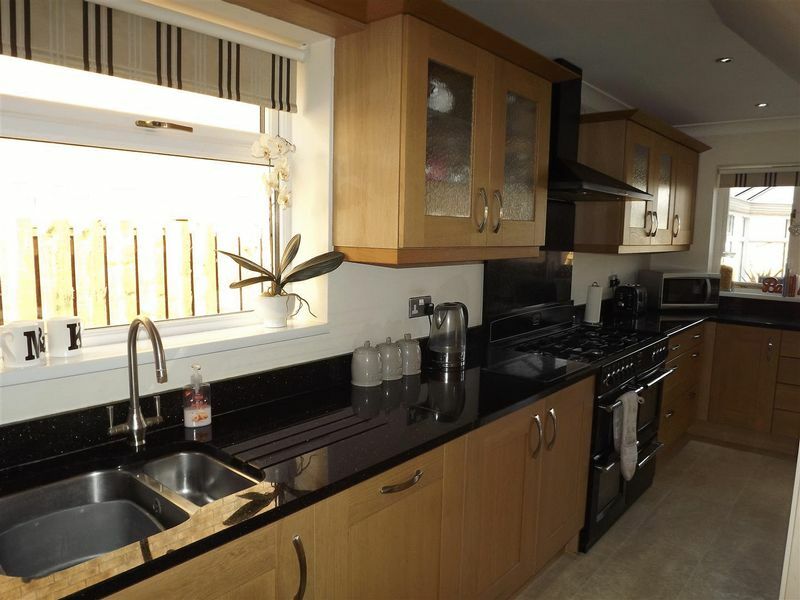 To the rear of the property is a stunning landscaped garden which has been exceptionally well maintained by the current owners. 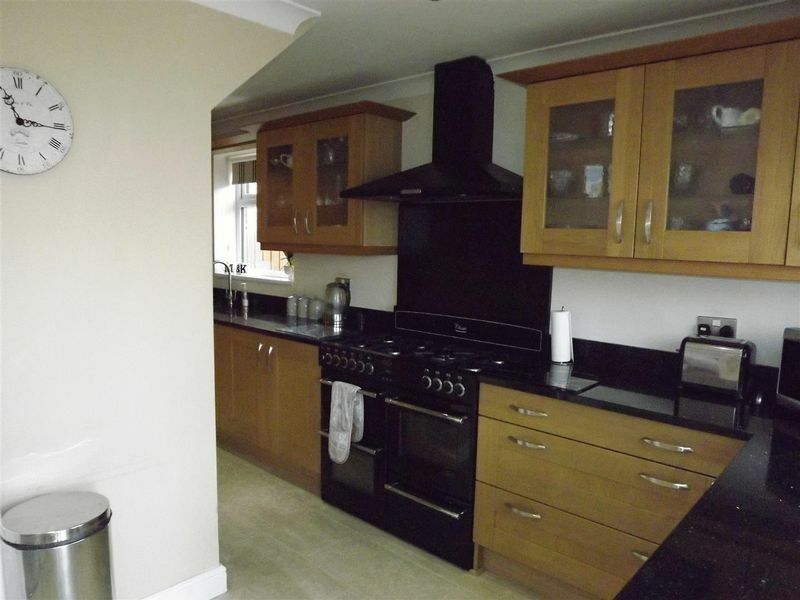 The property also benefits from Combi gas central heating and UPVC double glazing throughout. 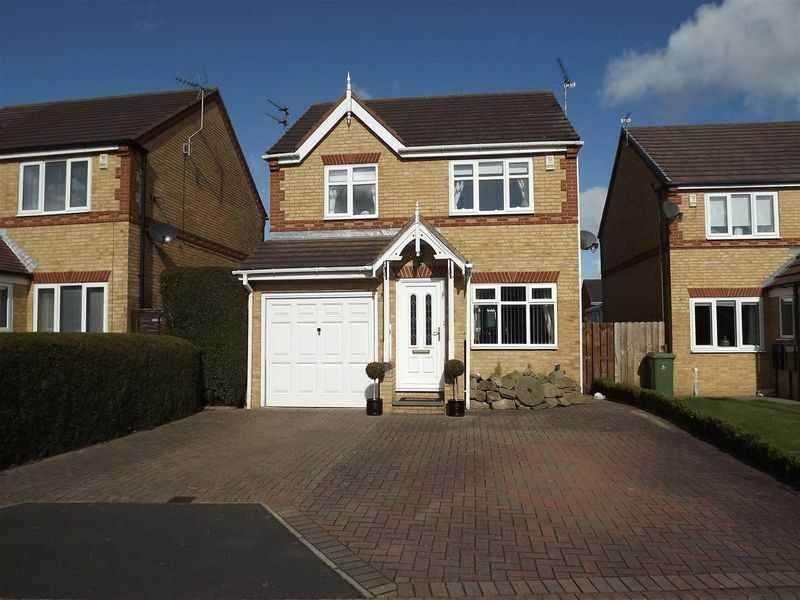 Block paved driveway providing ample parking for two cars, side access to the rear garden. 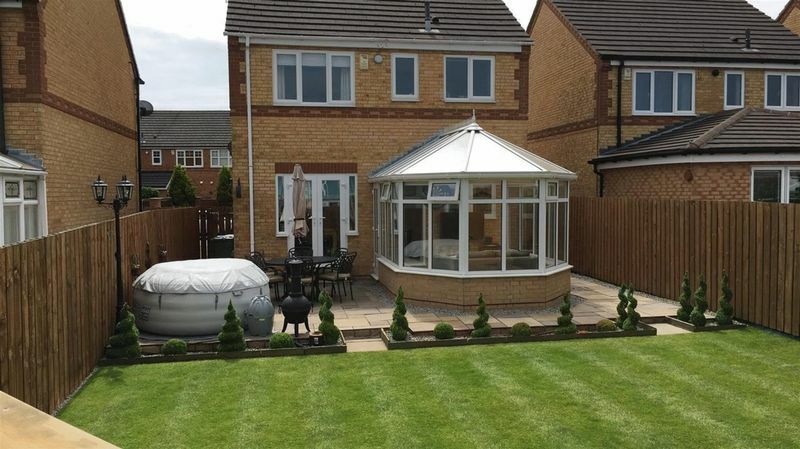 Entrance via UPVC double glazed door, double glazed window to the side elevation, radiator, door leading into the lounge/dining room. 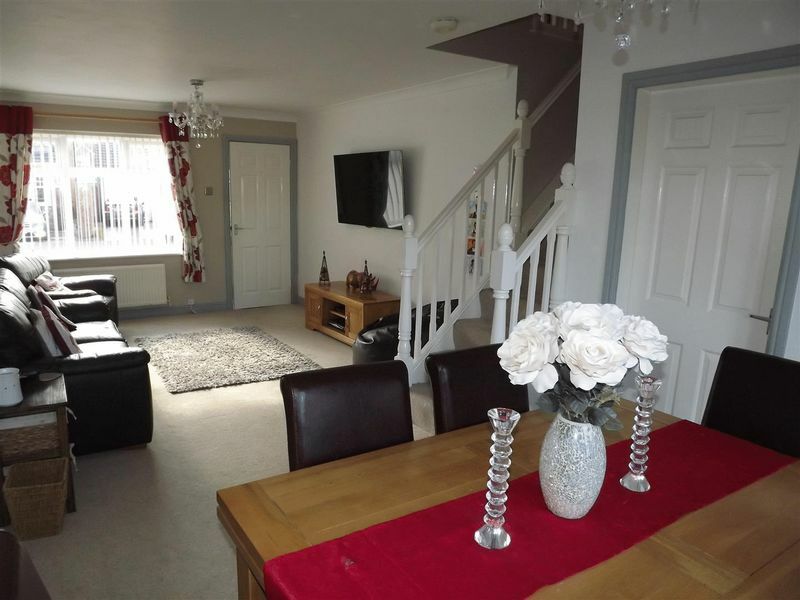 A delightful lounge through dining room comprising UPVC double glazed window to the front elevation, TV wall mount, stairs to the first floor, radiator. 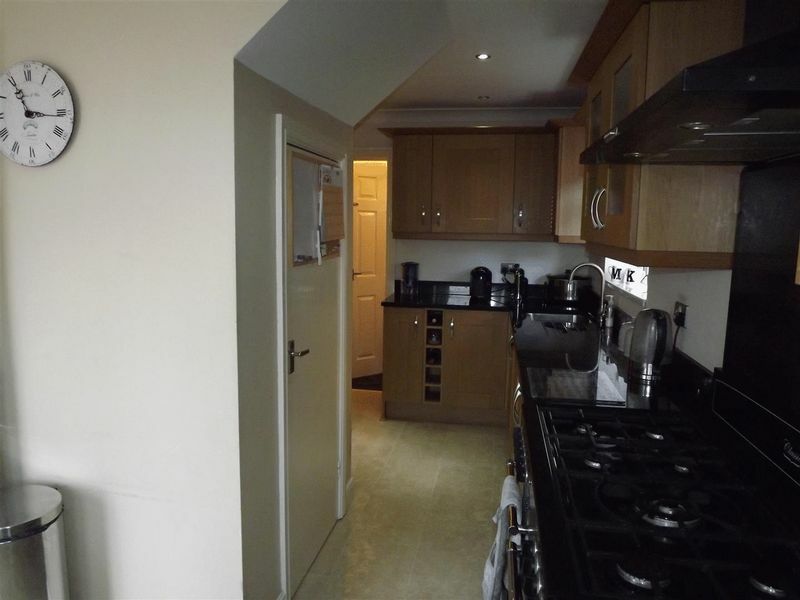 French doors to the rear garden, radiator, door through to the kitchen. 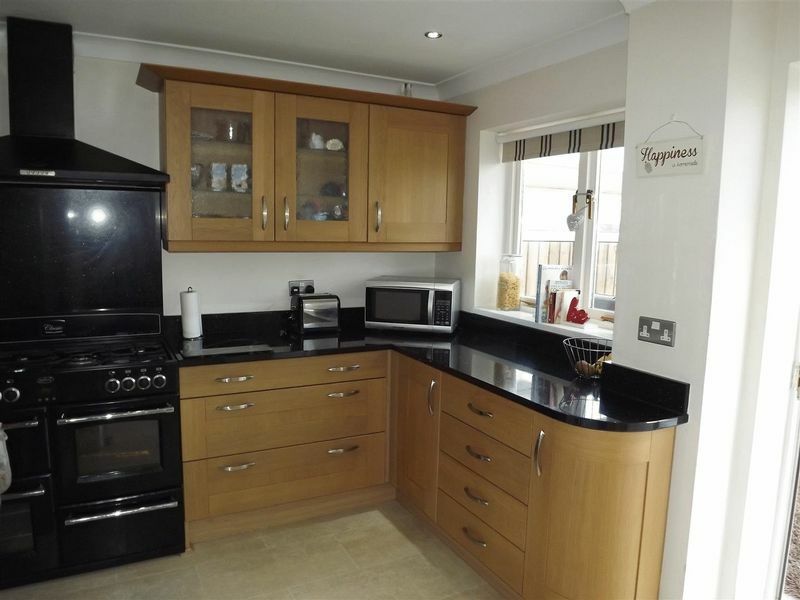 Beautifully well appointed modern kitchen which has been extended into the corner garage space, fitted with quality wall and base units and granite work tops, soft close drawers and cupboards, glass units, wine storage rack, integrated dishwasher, chrome style cooker hood with a Belling classic range cooker with a seven burner gas hob, fan assisted oven, conventional oven, sink unit with two bowls and mixer tap, understairs cupboard, two UPVC double glazed windows, one to the side elevation and the other to the rear elevation, door leading to the conservatory, recessed ceiling lights, laminate flooring, door to the rear of the kitchen leads to the cloaks and garage. 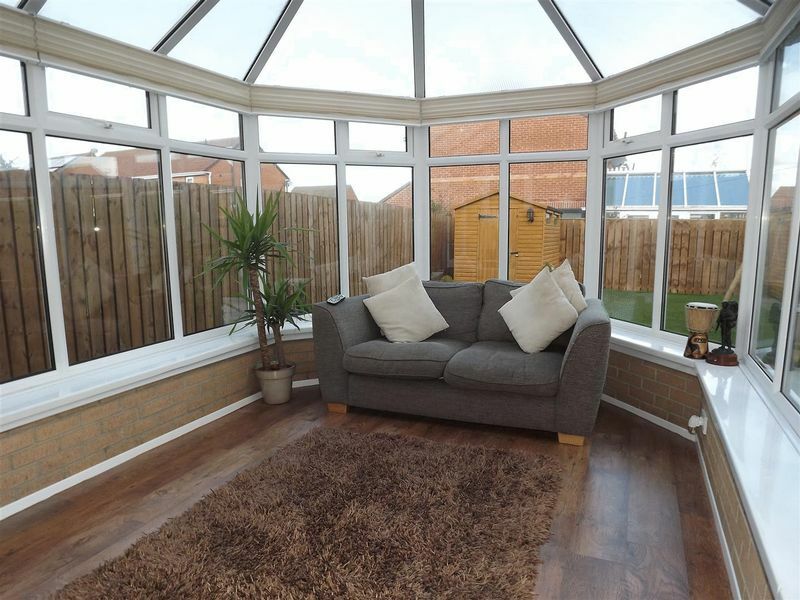 This stunning conservatory is a fantastic addition to the ground floor accommodation comprising double glazed, UPVC framed, on brick based walls, polycarbonate roof with paddle fan light fitting, TV wall mount, lamiate flooring, fitted window blinds. 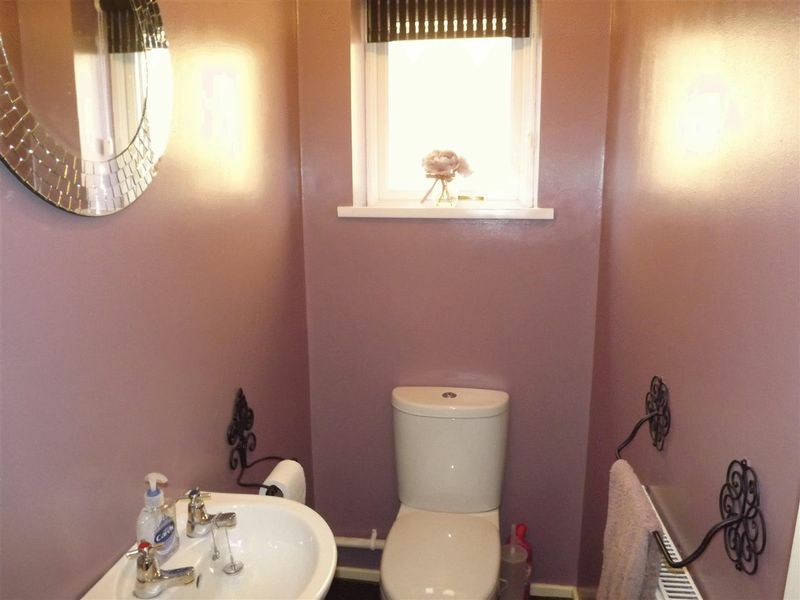 UPVC double glazed window to the side elevation, low level w.c, hand wash basin, radiator. 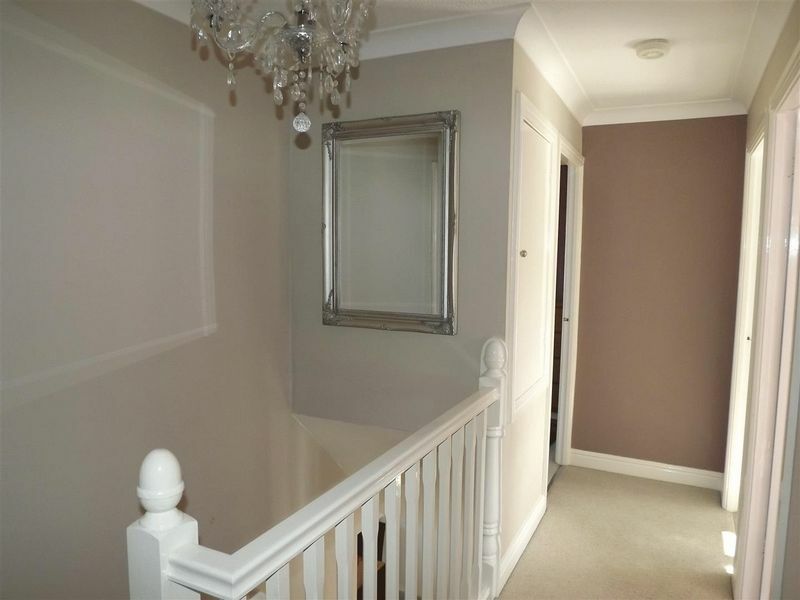 UPVC double glazed window to the rear elevation, modern built in wardrobes to one wall, radiator, door leading to the en-suite. 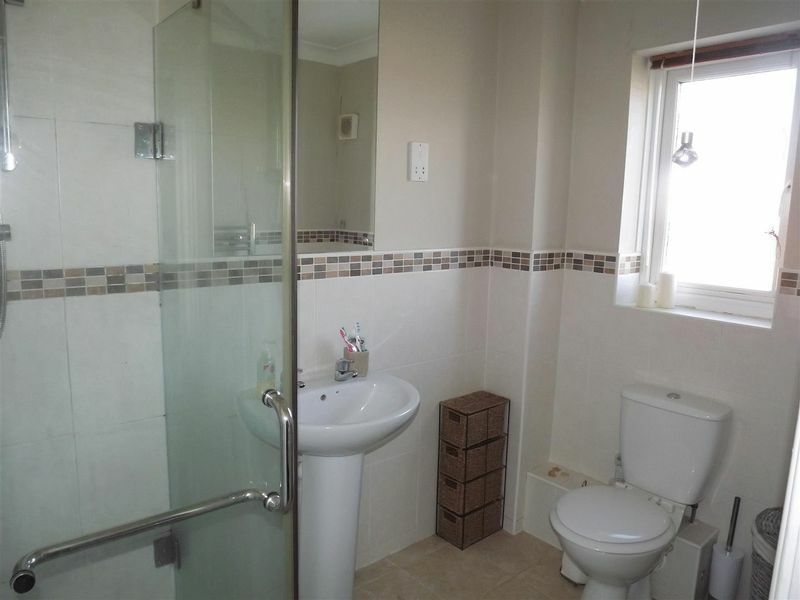 The en-suite comprises tiled shower compartment with mains shower, pedestal wash hand basin, low level w.c, chrome ladder radiator, partial tile decoration to the walls, tiled flooring, frosted UPVC frosted window to the rear elevation. 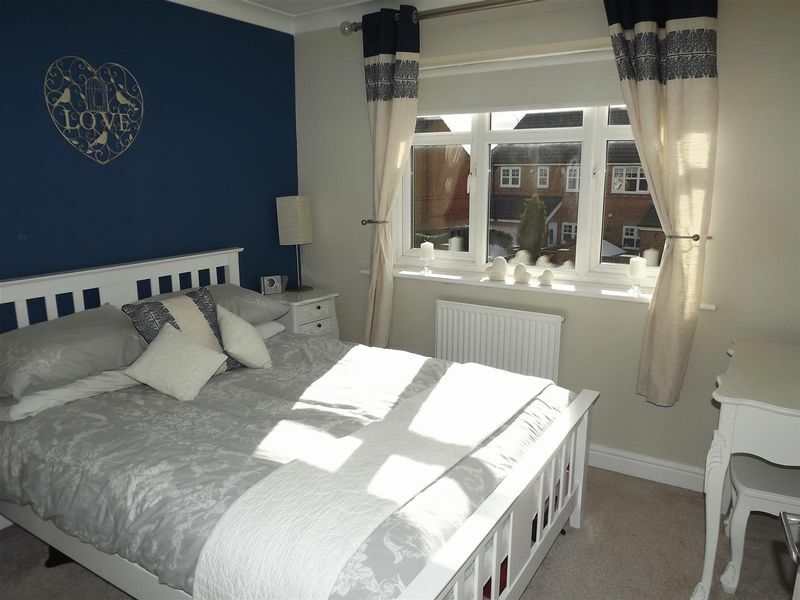 The second double bedroom comprises UPVC double glazed window to the front elevation, radiator. 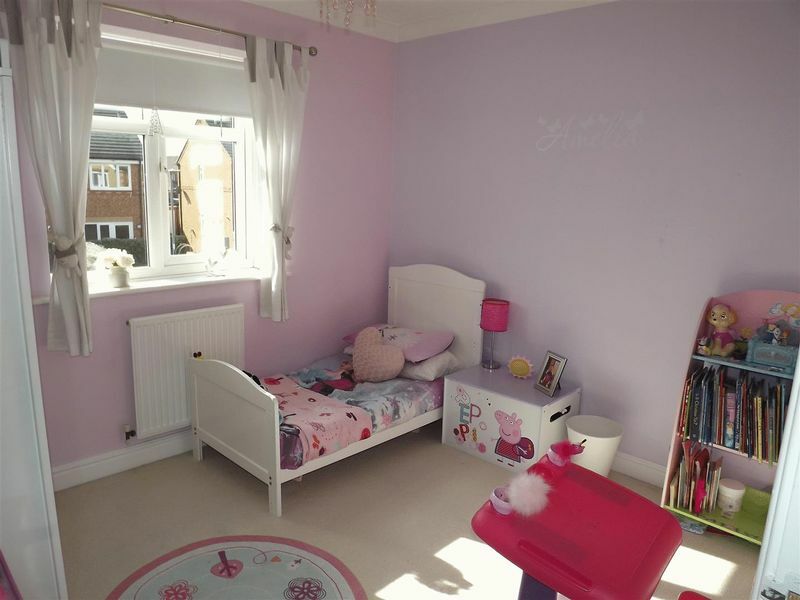 The third bedroom is also well proportioned comprising UPVC double glazed window to the rear elevation, radiator. 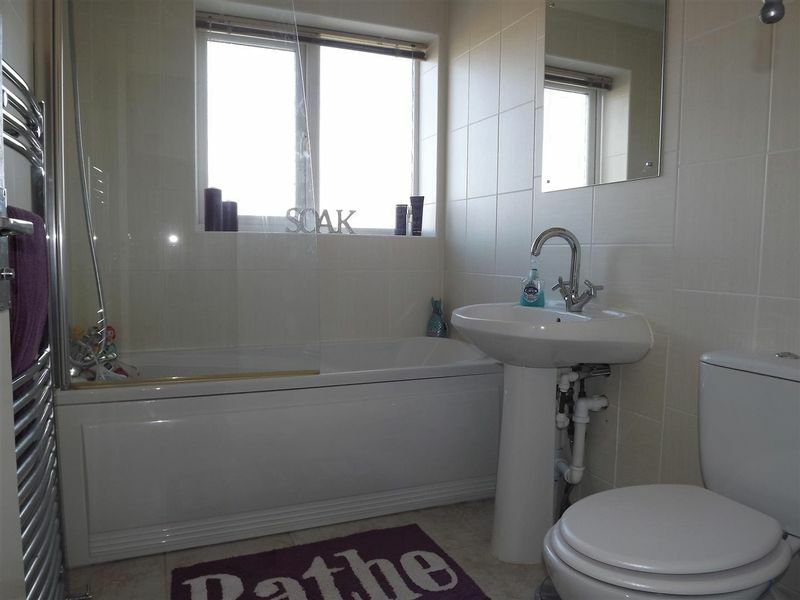 The bathroom is fitted with a white modern suite comprising panelled bath with shower over, low level w.c, wash hand basin, chromium ladder radiator, tile decoration to the walls and floor, UPVC frosted double glazed window to the rear elevation. 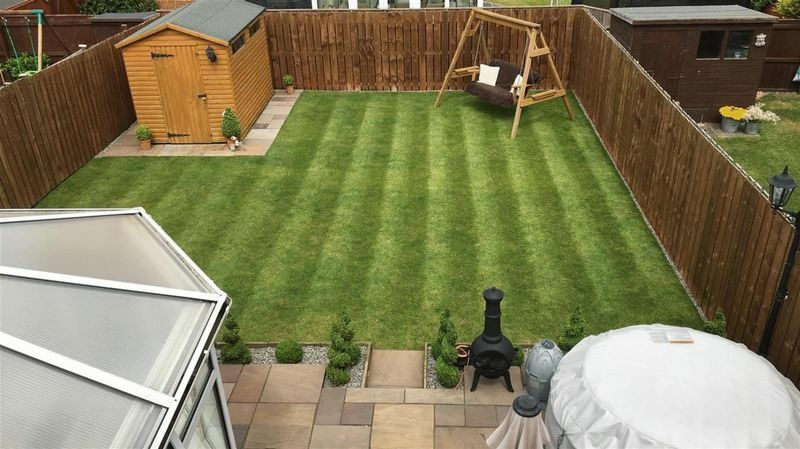 The stunning rear garden has been beautifully landscaped by the current owners with a well tended laid to lawn , modern paving providing an excellent entertaining and dining area, timber shed, side access gate leading to the front, privacy is provided by a timber fence boundary. Wall mounted Ariston gas fired combi boiler, up and over manual door, power.